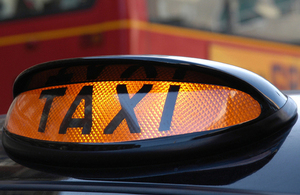 Law change makes it illegal for taxi drivers to discriminate against wheelchair users. Taxi drivers face a fine of up to £1,000 if they refuse to transport wheelchair users or attempt to charge them extra, in a change to the law which comes into force today (6 April 2017). We are building a country that works for everyone, and part of that is ensuring disabled people have the same access to services and opportunities as anyone else – including when it comes to travel. People who use wheelchairs are often heavily reliant on taxis and private hire vehicles and this change to the law will mean fair and equal treatment for all. The changes apply to England, Wales and Scotland affecting vehicles that are designated as wheelchair accessible and apply to both taxis and private hire vehicles. All taxis in London and a significant number in most major urban centres are wheelchair accessible. 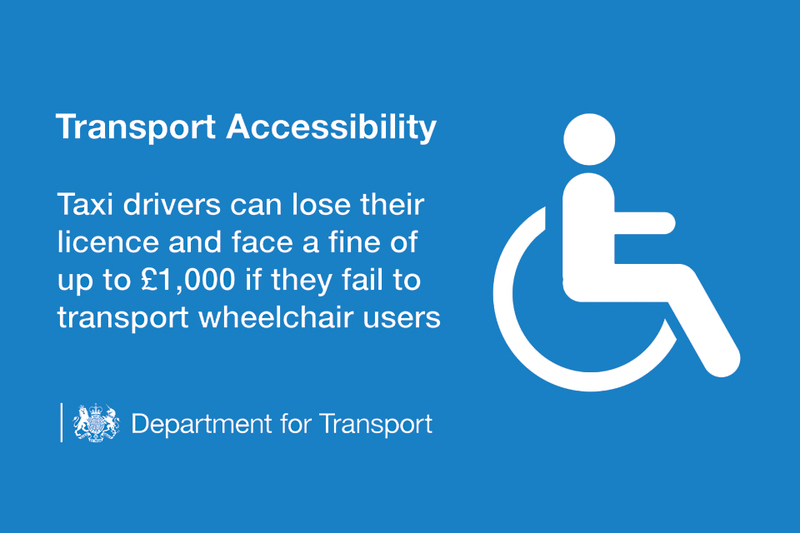 Drivers found to be discriminating against wheelchair users face fines of up to £1,000 as part of provisions being enacted from the Equality Act. Drivers may also face having their taxi or Private Hire Vehicle (PHV) licence suspended or revoked by their licencing authority. Drivers unable to provide assistance for medical reasons will be able to apply to their licensing authority for an exemption from the new requirements. Today’s change in legislation is positive news, as we know that disabled people often have to rely on taxis where accessible public transport isn’t an option. The law now makes clear the rights for wheelchair users and the responsibilities of taxi drivers, including the penalties that will occur if they aren’t observed. Wheelchair users are frequent customers of taxi services, so instead of being apprehensive of these new rules, taxi companies should promote their accessibility credentials. The new requirements complement those already in place to prevent discrimination against users of assistance dogs and underline the government’s wide-ranging commitment to supporting transport networks which work for everyone. The government will be consulting on a draft Accessibility Action Plan later this year, which will seek to address the barriers faced by disabled people in accessing all modes of public transport. Department for Transport written question – answered on 29th March 2017. To ask the Secretary of State for Transport, if he will make an assessment of the specific requirements of South Yorkshire in relation to taxi and private hire licensing; and if he will make a statement. 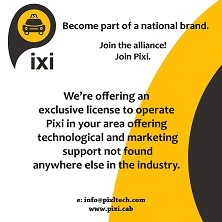 The legislation that provides for licensing of taxi and private hire vehicle (PHV) services is enabling in its nature, giving local licensing authorities the discretion to set standards that they deem to be appropriate. The Department does not therefore undertake assessments of the licensing requirements of individual authorities. The Government will shortly consult on Statutory Guidance in relation to the protection of children and vulnerable adults when using taxi and PHV services. The adoption of these measures among licensing authorities will be assessed. To ask the Secretary of State for Transport, what steps the Government is taking to ensure that assistance dog owners are able to access taxis and minicabs. Drivers of taxis and PHVs must by law carry assistance dogs and cannot charge extra for doing so. It is therefore unacceptable that some drivers continue to discriminate in this way. We aim to consult later this year on revised best practice for licensing authorities which will include strengthened recommendations relating to authorities’ response to alleged instances of assistance dog refusal. Until now, it’s Uber’s corporation tax dodging that has come under public scrutiny. Its VAT liability -not so much. But all that’s about to change. Uber’s VAT problem arises out of a basic tension in its business model. The Uber brand is all about selling to passengers. The very front page of its website invites passengers to “Ride with Uber.” But its contracts pretend – as the Employment Tribunal found last year – that it is selling not to passengers but instead to drivers. And facing in two directions at once is always going to cause you problems. And the VAT problem it causes is this: Uber’s contracts says its drivers are supplying passengers with transport services. And the Employment Tribunal agreed that passengers were being supplied with transport services. But it said that the passengers were being supplied with those services not by the drivers but by Uber. And all of this matters because the drivers are below the VAT threshold. They earn, by and large, less than £83,000 a year and so, if they are supplying transport services to passengers, they don’t have to charge VAT. But if Uber is supplying transport services to passengers for VAT purposes, well, we know it earns more than £83,000 a year. And so it has to charge VAT. And then something has to give. The drivers get paid less or fares go up or Uber’s commission falls. And there’s also a pretty big hit to Uber’s balance sheet. It will owe HMRC very substantial back tax: all the VAT it hasn’t paid over the last four years. And it will very likely owe back taxes not just in the UK but all across Europe. Now, it’s really HMRC that should be having this fight with Uber. But it’s got a feeble record of taking on the big US tech companies. And at the Good Law Project – which is bringing this fight – we’re not confident that it’s up for this fight. And so we’re going to take Uber on. Our director is a Queen’s Counsel, specialising in tax. And we’ve taken formal advice from another Queen’s Counsel, also specialising in tax. And they both reckon Uber should be charging VAT. So next week we’re going to launch our challenge. Check it out over at http://www.GoodLawProject.org. The Queen’s Counsel and solicitors who will act in the challenge will do so at very discounted rates. But Uber is a mighty beast – you don’t need us to tell you that. And so, if we’re going to have this fight, we’ll need all the financial help you can give us. So please, come on over, sign up for email updates, have a look and if you can – when we launch the case – make a contribution to the costs. The thoughts and prayers of the National Taxi Association and our membership go out to the victims of todays cowardly attack in our nations capital. We praise the work of our emergency services and the braveness they showed during this horrific event. Taxi drivers in Sandwell will have to pass a tougher test proving knowledge of the area, good English – and will also have a dress code. The rules on clothing, footwear and personal hygiene has been branded ‘ridiculous’ by taxi chiefs. They will also be required to undertake training on issues around child sexual exploitation and disability as part of the new Sandwell Council rules. There will also be ban on tinted windows and the council says it will no longer be accepting driving experience in other countries. Prospective cabbies must have held a full UK licence for two years and will have to pay for the suitability test. Existing drivers with serious criminal offences are to have their licences reviewed by the council’s licensing committee. 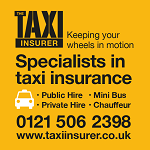 Shaz Saleem, of the West Midlands Taxi Drivers Association, said: “Some of the ideas in these new policies are ridiculous. Mr Saleem welcomed improvements to the knowledge test, but said drivers should not have to pay extra as it should be part of the licence. 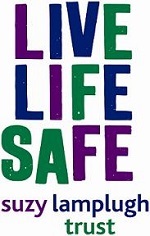 Councillor Preet Gill, cabinet member for public health and protection, said: “The public’s safety is at the top of our priorities. “Something which I think is really important is that they will now have to go through CSE training. The current verbal knowledge test requires the applicant for a drivers licence to answer 10 questions based on the law and conditions attached to the licence. Any applicants must answer eight questions correctly in order to pass the test, and must do so within three attempts. The tinted windows rule does not apply to limos or those vehicles already fitted with them prior to the new rules. MORE than 50 drivers attended a protest outside Luton Town Hall yesterday over safety issues and the ‘unfair’ issuing of licenses. The protest was organised by Luton Hackney Carriage Association and Luton Borough Drivers Union with the aim of raising a number of longstanding issues they have had with Luton Borough Council. In a jointly released statement the two groups raised their concerns, which include fears the public could be at risk from drivers who are operating in Luton but not under the jurisdiction of Luton Borough Council (LBC). Mushtaq Ahmed, chairman of Luton Borough Drivers Union, said: “We wanted to show our anger about how Luton Borough Council are turning a blind eye to us. 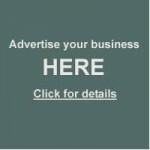 “The next step is to arrange a meeting with Luton Borough Council so we can hear their side. The statement released by the two groups read: “Drivers suspended by Luton Borough Council for serious offences are back working in Luton with Uber. “[The] council is ignoring the lessons of Rotherham Child Sexual Exploitation Case which involved taxis and minicabs working unchecked outside their licensed zones. A spokesman for Luton Borough Council said: “The council is always happy to engage constructively with local businesses and is ready to offer assistance, advice and share information with representatives from the town’s taxi trade. A Teesside taxi driver has lost his licence and been ordered to pay costs after a court ruled he was ‘not a fit and proper person’ for the job. Peter James White, from Billingham , has had his licence revoked after a judge at Durham Crown Court endorsed a council view that he was not a fit and proper person to hold a taxi licence. White, 40, of Tempest Court, Wynyard was also ordered to pay the council’s costs of £3,888. The local authority had initially made its ruling after hearing of a previous conviction which was considered relevant to White’s suitability to be licensed. The committee had also based its decision on White’s failure to declare the previous conviction to the authority and complaints of aggressive behaviour towards council and enforcement officers. A second man, Trevor Stark, 48, of Hawthorne Close, Langley Park had had his licence revoked by the authority after it found he too was not a fit and proper person to drive taxis as a result of previous convictions. The two had then appealed the decision to Peterlee magistrates which ruled they should both be able to hold a licence. But, unhappy with that decision, Durham County Council then took the case to the crown court which found in its favour. Speaking after the hearing Joanne Waller, Durham County Council’s head of environment, health and consumer protection, said: “We are satisfied with the ruling of the crown court judge in these cases. “When deciding whether someone is fit and proper to drive taxis, it is only right that we consider convictions which might impair their suitability to be licensed. “These could include road traffic offences such as speeding or breaching laws which prevent drivers plying for hire. 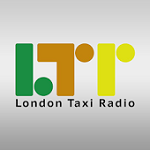 “We were always confident in our original decisions which took into account the drivers’ previous misconduct, the taxi licensing regime, the relevant legislation, our licensing policy and relevant case law.